The May 2018 presentation was delivered by Bill Sutton. 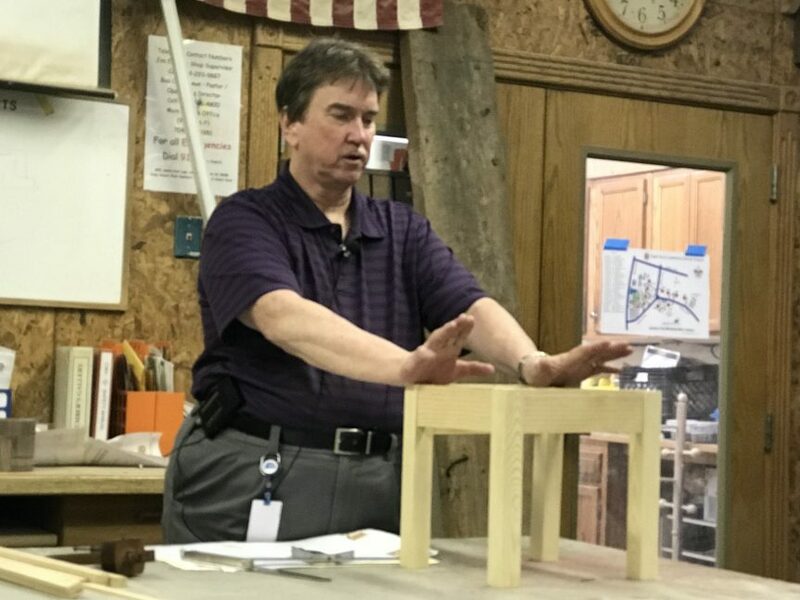 Bill has delivered a number of presentations to our association in the past and today brings his experience to bear on the topic of precision and accuracy in woodworking. Precision and accuracy are both important, but it’s important first to understand the differences. Accuracy refers to the closeness of a value to a known value. Precision refers the closeness of two or more measures to each other. This is where we want to focus our woodworking – High accuracy AND high precision. 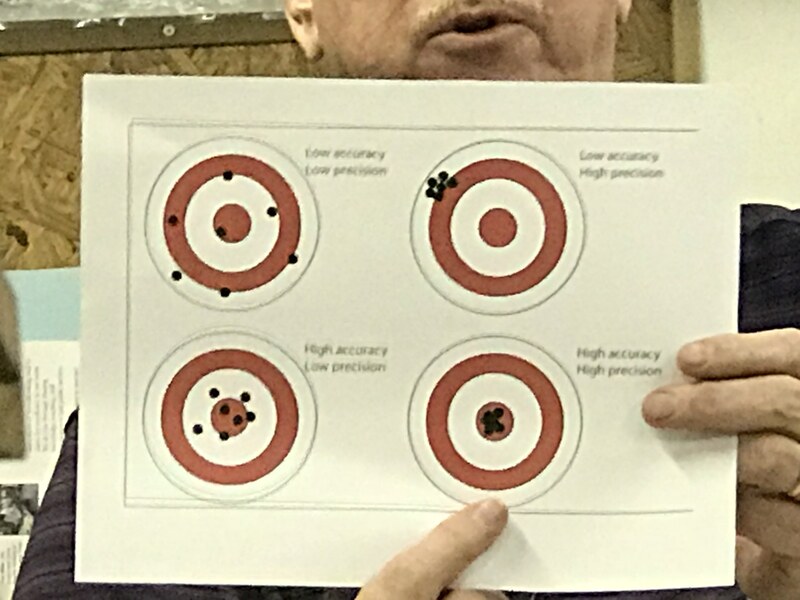 The bullseye chart shows what can happen if we lack one of these characteristics. Some tools show up to 1/64th measures on their gages. This doesn’t really matter. What is important is that the parts are the same in the right dimensions. Rulers and tape measures make it easy to read the wrong measurement and/or mark a piece incorrectly. Once its cut you can’t stretch it. Rulers have a place, but typically we’re not building things that require extreme close tolerances. In manufacturing, parts have to be done precisely so that the parts are interchangeable. This is not as important for custom work where each piece is custom fit to another. However, we don’t want to be sloppy either. We don’t want visible gaps, or noticeable inconsistencies, etc. The level of precision is different depending on the scale of the piece as well. Tape measures are important. There are certain dimensions that are critical. For instance, a chair seat should typically be 17 inches. Dining table height needs to be set so that the legs can go under it. Old timers built pieces from proportions. One of the tools they used was a “story stick”. A stick is chosen that is long enough to make a tick mark on the stick for each of the measurements. Then use use the stick as your measurement instead of trying to record and remember numbers from a tape measure or measures. The stick can be saved and used again and again if you need to produce another piece. In addition, other tools can also make the measurements precise and accurate. 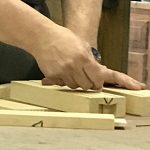 If you use a marking gage, use the thickness of the piece to size the scribe line. Use a compass to find center. Wood is constantly moving so it doesn’t need to measure in 1/1000ths of an inch. 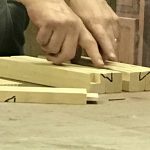 However, it is important to understand the wood and its nature when picking joints, etc. If you want a table to be square and rectangular, but the pieces are different, you don’t end up with a rectangle, you get a trapezoid instead. 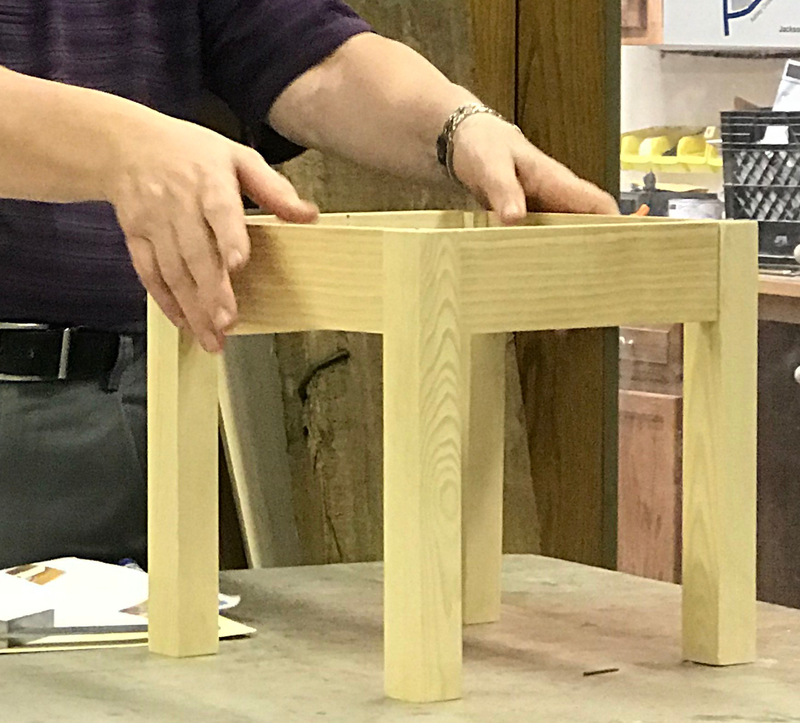 By properly measuring each piece from the same reference point, we can cut all the same size pieces with the same settings. Then they mate up and fit the same. When milling, pick a reference surface. All layout should start from that surface. Use a pencil to mark the reference edge (squiggle), then mark the top. For dark woods use chalk. The markings need to be clearly visible. 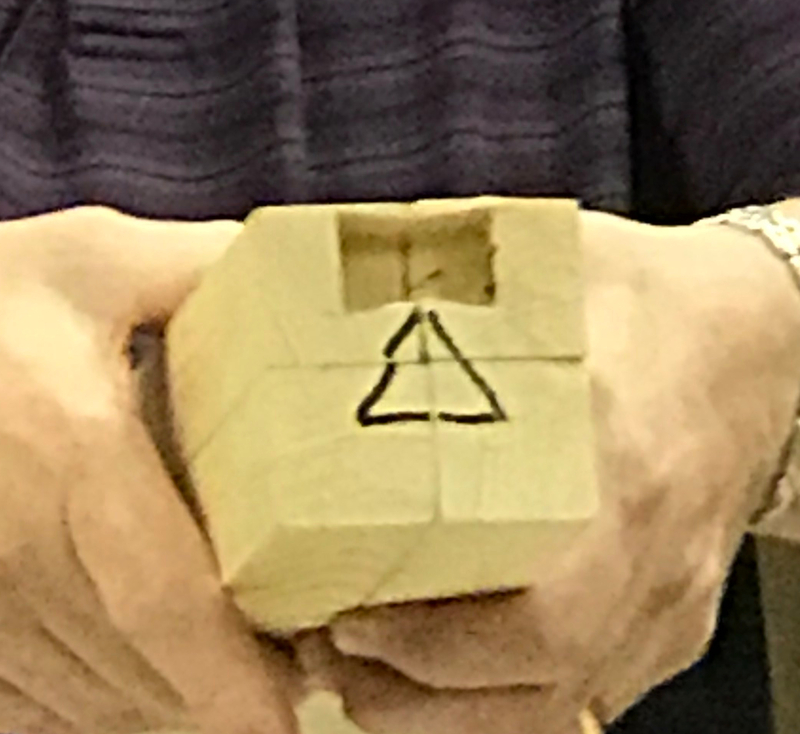 Legs are marked with a triangle pointing to the front. This way we never mix up the legs or their orientation. 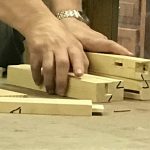 The last thing we want to do is cut a mortise in the wrong place and this will help prevent you from making that mistake. The way to do this is to lay them on the table and open them up. Put them back together, then open them up the other way. Then, mark the mortises. Do the same thing with the sides and front/back. Set the triangle. Another area where it’s easy to make a mistake is when taper the legs. Just remember that the taper is always on the side with the mortise for most shaker and period style furniture and you should be fine.